What a unique city Lima is! While it wasn’t quite on our itinerary yet, Chase and I had to make a rapid change of plans as we woke up on the bus we paid for in Lima, not Pisco. 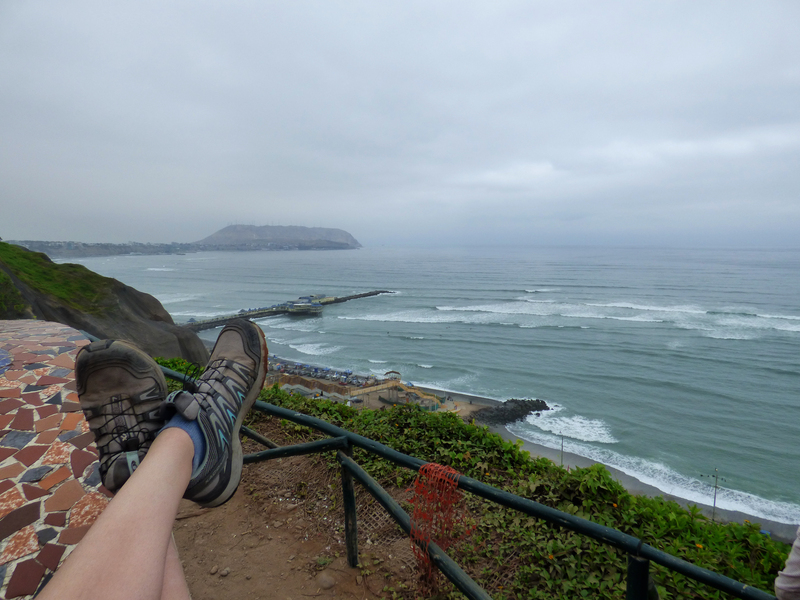 So, as we sat in central Lima with our packs and a refund, 6 hours north of our destination, we decided to roll with the situation and enjoy Lima. After all, we had just spent 16 hours on a bus and we weren’t quite ready to hop on another 6 hour bus just to stay on track… That’s what the point of this adventure is; we roll with the punches and enjoy every minute of this crazy ride. We couldn’t get any busses straight from Chivay, so we had to stop in Arequipa and stroll through, looking for a bus to Pisco. It was strange, because almost none of the companies had any buses to Pisco! A woman from the company Civa told us that they made a stop in Pisco on the way to Lima and ensured us that we would be dropped of at their office around 6 am the next morning. This was the best we could discover, so we leaped at the chance and bought the tickets. When we purchased the tickets, I had them write in Pisco on all of our paperwork, just in case of any confusion. Then, at 3 pm, off we drove! Around 7, we stopped next to a tiny street restaurant so that the passengers could buy dinner. However, after about 75% of the passengers got off, the bus driver shut the door, locked the bus, and went to eat. I happened to be one of the passengers locked on the bus at this time while Chase was outside, silently pondering where I might have gone off to. Six of us pounded the bus windows and doors, yelling for someone to come let us out. Since the bus was locked, no one could get in or out, and the driver was nowhere to be seen. At first, people on the outside just stared, laughed, or ignored our yells of help. Chase walked up to the door in curiosity and realized I was inside the bus, trapped and dinner-less. Now, we all know what happens when ladies get hungry… “Hangry Hillary” comes out and is the ultimate grump until food enters our growling bellies. Chase sprang to action, fearing the eventual appearance of the “hangry” women on the bus and came to save the day. Realizing that he couldn’t get us out, he jumped in to the driver’s seat and crawled through their crawlspace door to where we were located. This finally gave us a tunnel to escape and get some dinner! Chase saved the day and the crisis was avoided. A few of us crawled off the bus and ate dinner with the sparing moments we had left before the drivers appeared to leave again. I climbed back up to our seats, and we all had a good, frustrated laugh at the service of this bus company. At that moment, we just went back to sleep and settled with the fact that we now had another 6 hours to ride. Now, this bus ride threw our plans for a loop, but also taught us a valuable lesson: pay the extra 30 Soles to ride on the better bus company. Cruz Del Sur is the best quality company in Peru and WELL worth the extra money. You get to go exactly where you pay to go AND you get a meal included! Lesson learned. 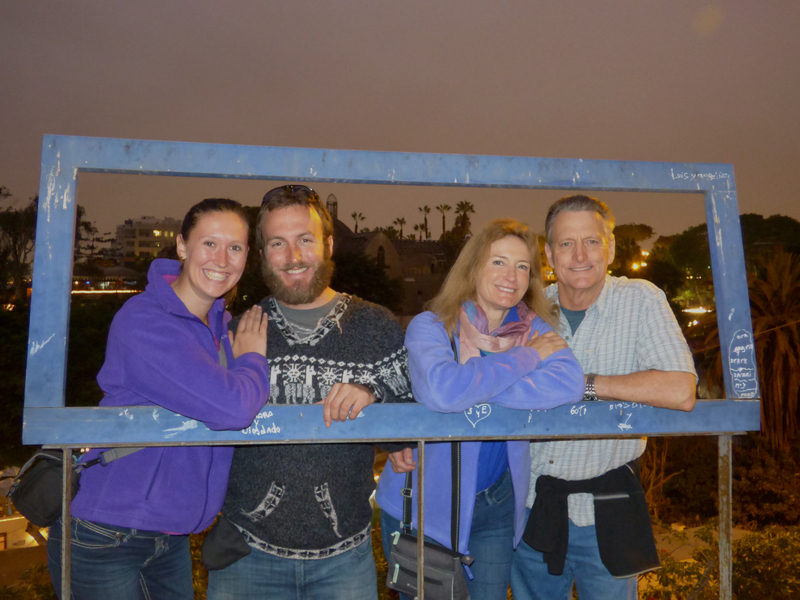 Our first stop in Lima was the Barranco neighborhood. It is well preserved from the wars it has been through, and 40% of the neighborhood still contains the original structures. We got a hostel with a 5 minute walk to the beach and a great group of people. As we explored the neighborhood and the beach, we stopped at Burrito Bar, a local restaurant with the best burritos I have had in a LONG time. Not only were they the size of a small cat, they had the flavor to match. The only downfall was our second trip there, when Chase ate the fish tacos. They made him sick for 3 to 4 days! Bad fish=bad week… Nonetheless, we powered through and continued to explore. Our first day in Lima was unusually sunny, so we were blessed to have a day of sun before the next six days of fog. Lima’s fog is crazy! You can see just fine around the city and driving, yet it lays above in the sky as a thick layer, blocking out the sunrise, sunshine, and sunset! Our first and only sunset on day one was cut short when the fog rolled in and the sun vanished, ending the sunset completely! 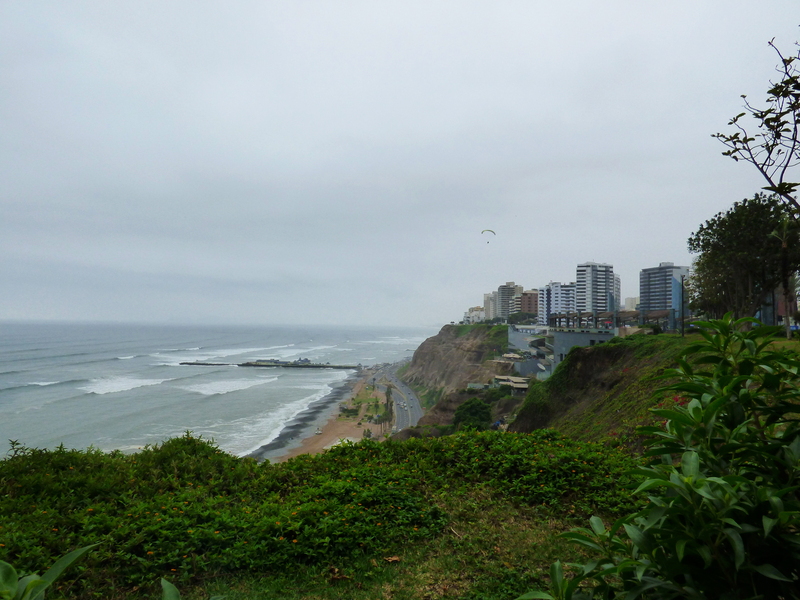 Our next stop was the Miraflores area of Lima. Nicknamed “Gringo Central”, this neighborhood is full to the brim of tourists and fancy restaurants. It is very similar to Barranco, yet only holds 20% of the original architecture and the remainder is up to date buildings and businesses. It is simply beautiful! The waves along the beach were incredible as well. As we walked along the beach, some of the waves would swallow the surfers beneath! We didn’t have the time to take a surf lesson, but we will get the chance to do that on our way through in a few weeks. We arrived in this neighborhood the day before Chase’s folks arrived to travel with us for 2 weeks, and got just a taste of Lima before Exploring more in depth with them at our sides. Photo frame fun on our food tour of Lima! Around 7 am, Chase’s parents got to the condo and the shenanigans began. 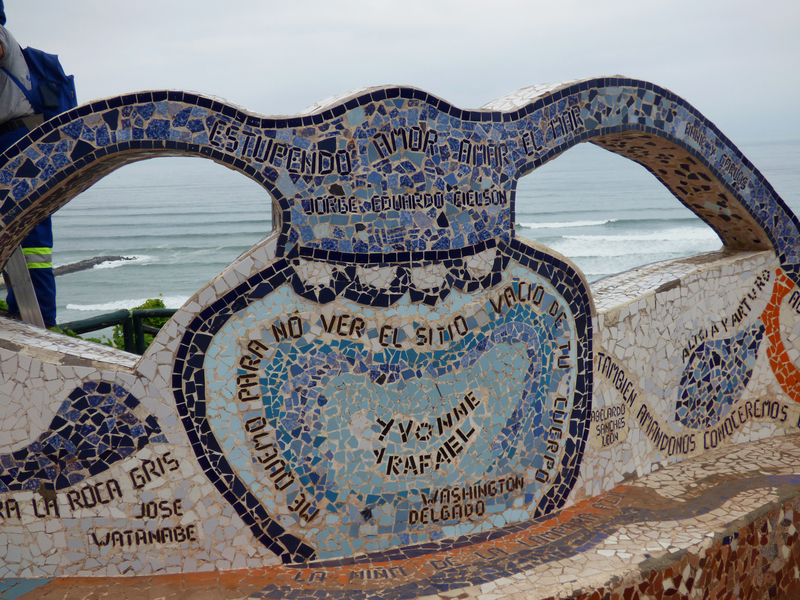 Our first day there, we decided to take a food tour of Barranco. 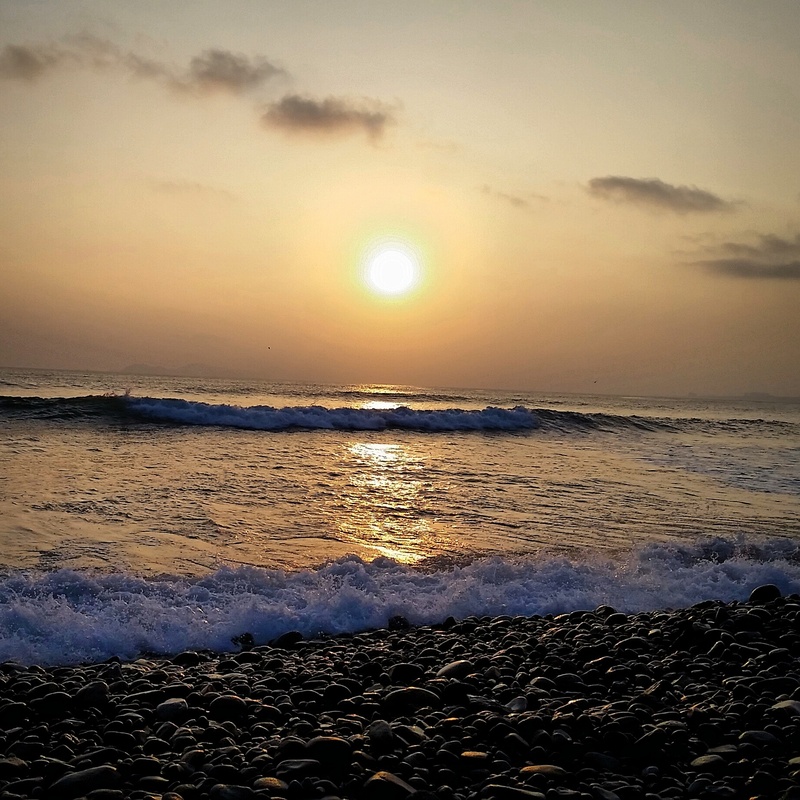 What was originally a 4 hour tour through the hidden local restaurants of Lima turned in to an 8 hour adventure through all of the foods, restaurants, and street carts in the neighborhood. It was delicious, original, and a closer look at the parts of town that “gringos” don’t usually go. We discovered quite a few things along the way. Our first stop was a little ceviche restaurant in the quiet part of Barranco. 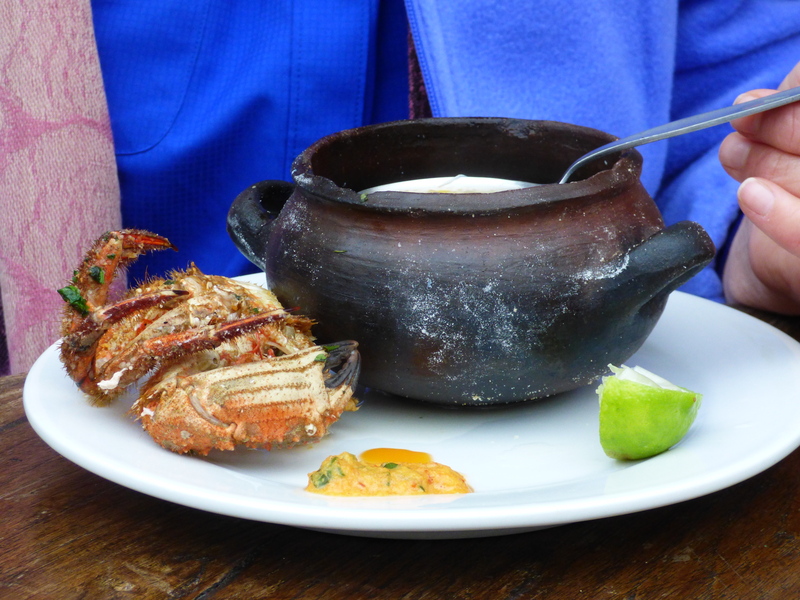 Since our tour didn’t start until 4:30 pm, we didn’t try the ceviche, but crab soup instead. Along with the soup, our guide, Harí, showed us the different homemade salsas from the owner and how they affected the taste of the soup. This let each of us create a custom soup according to what levels of spices we liked. It was a completely original way to experience the seafood part of Lima. We didn’t try the ceviche because we got a warning from all the locals: never eat ceviche after 3 pm. This is when the fish is no longer fresh, and thus not worth eating. This was an interesting tidbit to learn considering that in the states, same day fish in Reno is an incredible find! The other items we tasted along the way included the infamous Inca Cola, local variations of chicken, pasta, beef, and even pickled pig feet! To top it all off, we went chocolate tasting, including their delicious brownies, and beer tasting at the local brewery! We got to experience every corner of Lima’s food experience and end the day with a good, cold beer. Mmmmm, all that food was worth the giant food baby we all had after 8 hours of eating our ways through Lima. The next morning, the four of us hopped on a bike tour of the beachside neighborhoods. 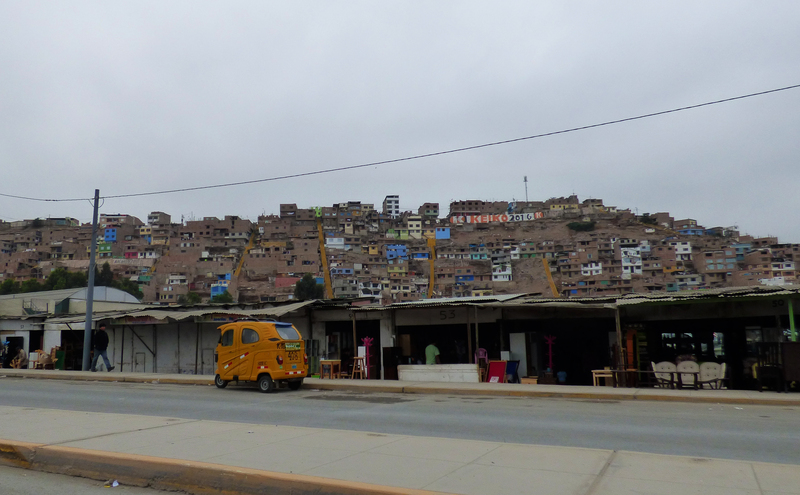 Along the way, we got to see vastly different areas of the city than the food tour showed us and learn about the history of Peru. Aside from their independence, Peru hasn’t won any major wars! So, their memories and histories are told based on the impact of the biggest losses and wars. Our guide was a local girl that had so much history to tell that she barely fit it in to the tour! It was a great history lesson while seeing the city itself. 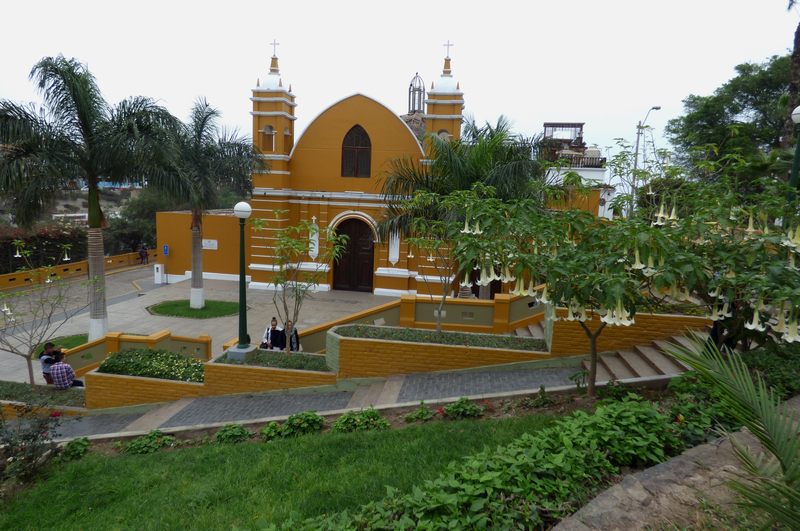 Barranco’s first church, and while it will not be restored or reopened, it stands as a beacon of Lima’s history. On our last day in Lima, we rented a car for our 2 week road trip! This is the part I am most excited about, as it gives us the chance to see more of Peru on the road. 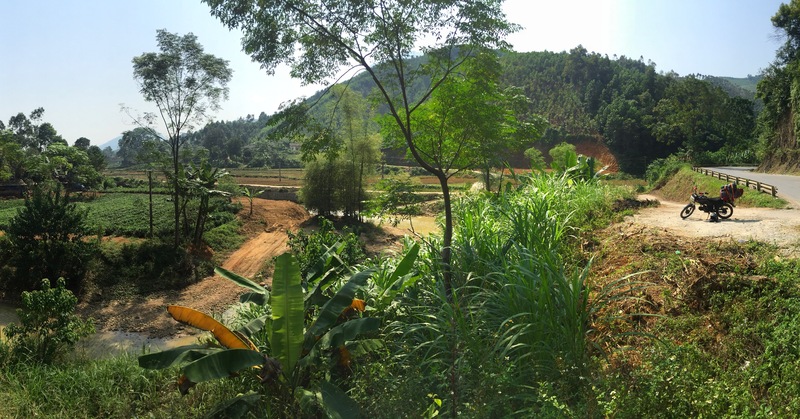 Instead of overnight busses that cover huge amounts of land, we get to drive and experience all of the other parts along the way. 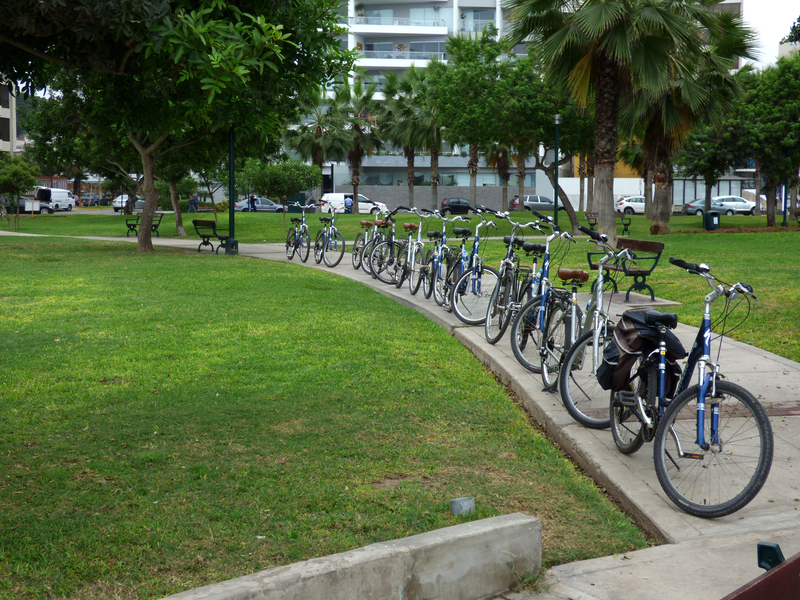 Here are the links to the food and bike tours in case any of you head through Lima!